The implementation of the additional property cooling measures last Friday came as somewhat as a surprise as Singapore government raised the additional buyers stamp duty (or ABSD) rates for 2nd or subsequent home buyers, foreigners and entities. On top of that, the government has also lowered the Loan-to-value (or LTV) limits for all mortgage loans issued by financial institutions by 5% across the board, which will result in an increase in upfront payment for property buyers. Although property prices have only risen by 9.1% over a period of less than a year – which is much lesser than the 38.2% surge experienced between the 3rd quarter of 2009 to the 2nd quarter of 2010, the government felt that property developers have filled up their land banks sufficiently for the last 18 months and have decided to put a stop to all the buying sprees before home prices run wild. Analysts believe that these additional property cooling measures are likely to dampen interest from foreigners, investors and property developers as rates were increased across the board except for Singapore citizen and permanent residents who are first-time buyers. For instance, a Singaporean buying a 2nd property that cost $1 million will now require to fork out an ABSD of $120,000 – which is $50,000 more than the previous rate of $70,000. Entities acquiring residential properties will be hit the hardest as the ABSD rate has been increased by 10% as compared to the previous rate and another 5% ABSD is required to be paid (non-remissible). This presents an adverse situation for the en bloc market as the land cost has effectively been increased, which will put developers under greater risks if they are unable to offload all of its new launch units within 5 years from purchasing the land. 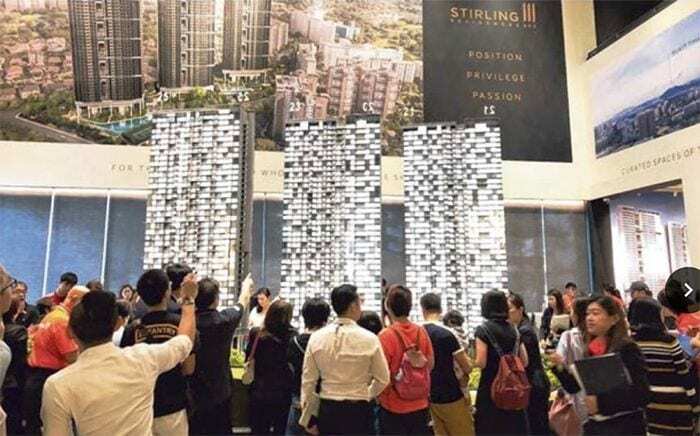 Thus, analysts noted that property developers may be adopting a more cautious approach when it comes to bidding for both GLS and collective sale sites before they have a clearer picture of the property market’s direction and sentiments. Despite being deemed as “heavy-handed” and ” irrational” by market watchers, the outlook for 3 of the most recent new launch projects still continued to garner a fair amount of buying interest from prospects over the first weekend since the new cooling measures were introduced. One of them is Park Colonial, c0-developed by CEL Development, Heeton Holdings and together with KSH Holdings. The 805-unit new launch at Woodleigh has managed to move 50 units during the weekend and has sold approximately 350 units in total so far – at an average per square foot (psf) price of $1,700. Stirling Residences has also moved about another 50 units since Friday, on top of the estimated 200 units sold on Thursday night when the cooling measures were being announced – with 1-bedroom and 2-bedroom units being the most popular unit types among buyers, said developer Logan Property. Being significantly the most popular project among the three, Riverfront Residences by Oxley Holdings has since managed to sell another 65 units, on top of the 510 units sold on Thursday night. Property consultants believe that first-timers, who are less affected by the cooling measures will still continue to be on the lookout for opportunities in the dampened property market and noted that the measures could possibly slow down the market but not a total stalemate.